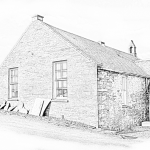 The site was originally developed with the construction of the Manse (Scottish for Vicarage) around 1863 for the then Minister George Reid, the minister of the Shepy Kirk (Kirk is Scottish for Church). The Shepy Kirk is south west from this site and is mostly derelict now. The manse was shortly followed by the construction of the Kirk around 1866. The kirk was originally constructed without the balcony and was to replace the Shepy Kirk to house the growing congregation. Several years later, the balcony was added as it is now. With the balcony added to the Kirk, it could seat around 600 people, more than the entire current population of Westray. At the time, there were over 3,500 people living and working on the island. Around 1869 the hall and associated buildings were added to increase the facilities of the site. The hall was named ‘The Reid Hall’ after the original minister of the Manse and Kirk, George Reid. By 2009, the congregation had dwindled to around only 25 people and the Kirk had fallen into disrepair. The Kirk had not been used for any service for over 25 years. So in 2009 the Kirk was put up for sale when it was bought by your hosts. The whole site was purchased by us and we moved to Westray from Surrey in March 2010 to begin conversion and upgrades of the site. 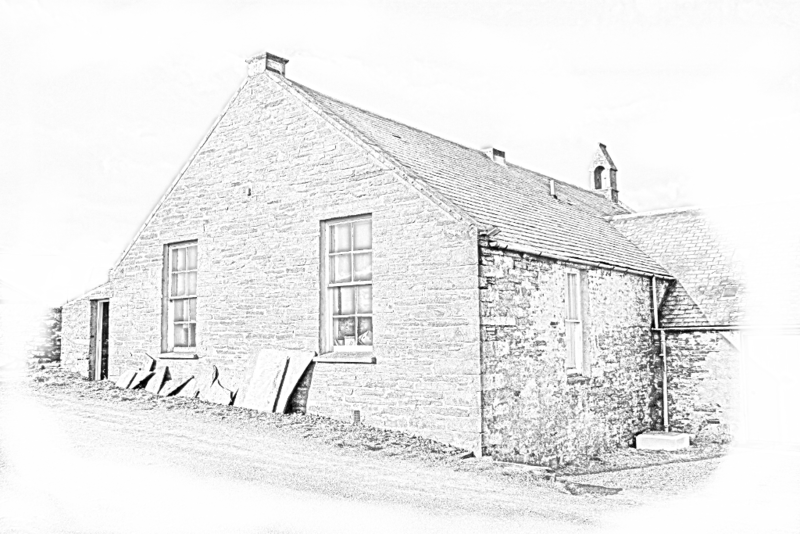 The Reid Hall conversion was completed in the spring of 2013 and is a multi-purpose building supporting Bed & Breakfast, Self Catering Accommodation and ‘Pop Up’ restaurant. The Reid Hall offers two en-suite bedrooms, a twin and family room of a double and single beds. The building is heated with a modern and energy efficient Air Source Heat Pump. All other electrical fittings have also been chosen to minimise the impact on the environment. We hope you enjoy your stay here, in the modern, comfortable and energy efficient building.